We combine tech with dance, music, visual arts and special projects through sessions and interactions with professional writers, storytellers, filmmakers, musicians, dancers, artists, designers and other experts who accompany them in generating artistic and social creations while stimulating and actively engaging their senses. 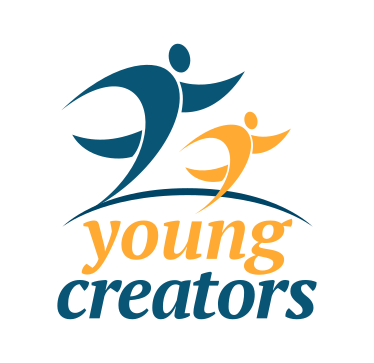 Young Creators learn to see technology as a tool for creation and use it in creative ways to draw and paint by hand, to create songs, to create interactive maps of people and places they love, miss or dream of, to create interactive stories and to create video games. Since 2012 we host summer camps, workshops and training programs for disadvantaged youth in the Caribbean and homeless migrant children in Paris, as a counterpart to our regular programs. We partner with local associations and educational institutions to offer our programs ourselves or training local trainers with whom we share our know-how, strengthening local capacity. Each program starts under our direct supervision and includes detailed manuals for both trainers and participants, supported by a digital learning environment with examples and step by step instructions. We also offer talks, conferences and workshops on innovation in education and on how to empower kids and youth through technology combined with non-tech practical hands-on activities. We offer paid, discounted and pro-bono services for private institutions and social organizations and community associations. Each activity includes pre-configured and fully charged tablets, eliminating any special requirement by hosting organizations. Donate to sponsor a tablet or a child. Bring our program to your organization or community. Volunteer as Expert for a guest activity. Join as Facilitator, no tech knowledge required: we train you!